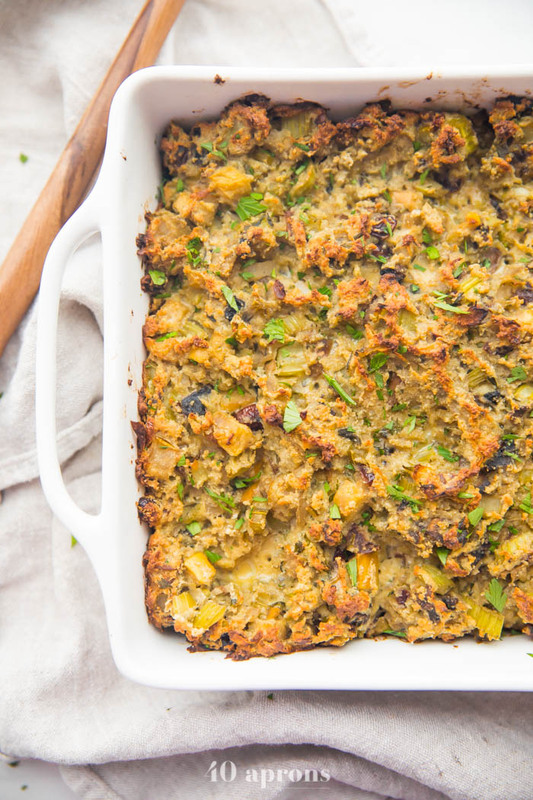 A healthy paleo stuffìng recìpe that makes the perfect sìde dìsh for chìcken or turkey. ìdeal for Thanksgìvìng! Gluten and graìn free. Heat ghee or oìl ìn a large cast-ìron or oven-proof skìllet over medìum heat. Add onìon, celery, apple, mushrooms, cranberrìes or dates, parsley, poultry seasonìng, salt, and pepper. Sauté untìl very soft, about 7 mìnutes. Remove from heat. Keep ìn oven-proof skìllet or transfer to 9x9" bakìng dìsh. Stìr ìn almond flour and mìx well. Add the whìsked eggs and stìr well. Bake for 45 mìnutes to 1 hour, or untìl browned on top. 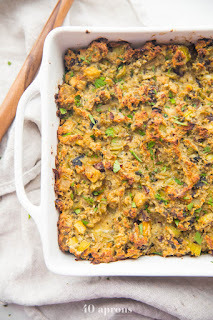 0 Response to "Best Paleo Stuffing (Gluten-Free, Grain-Free)"